How viable is the closed loop? 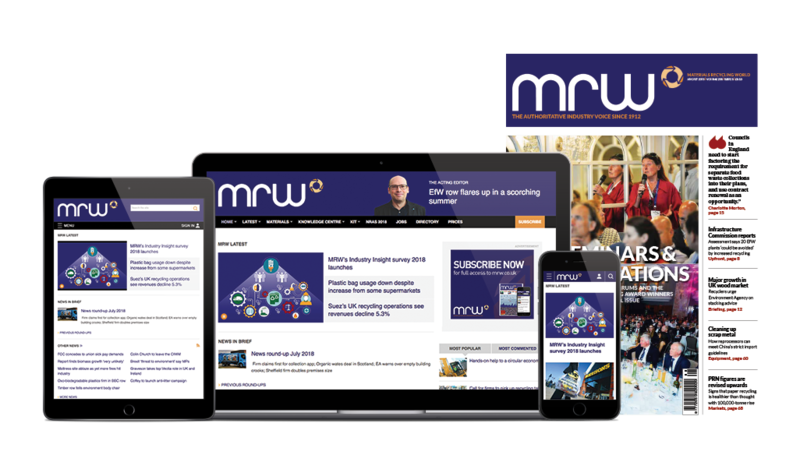 If you were in the audience for WRAP’s annual conference earlier this month, or followed the proceedings online, you will know that the focus this year was on the circular economy, and its contribution towards economic growth. The concept of a circular economy reflects the belief at the heart of WRAP thinking that resource efficiency delivers both economic and environmental benefits. Traditionally, the circular economy has been put forward as a way to unlink rising prosperity from growth in resource consumption. Although the prospect of ‘rising prosperity’ may be some way off, if recent forecasts from the Bank of England are right, it is clear that the concept of keeping resources in use for as long as possible is gaining currency. There is increasing acceptance that resource efficiency and security are critical to future economic competitiveness and resilience. We know that resource security is high on the UK business agenda - more than 80% of chief executives from manufacturing companies told a recent EEF survey that the shortage of raw material was already presenting a real risk to their operations. We also know there is still huge, untapped potential to be gained from improved resource efficiency. Government research suggests that businesses could make substantial savings by adopting no-cost or low-cost improvements in their use of resources. Add in more efficient use of water and energy, and savings would be even greater. Just think how much the economy could grow if this was reinvested by business. Resource efficiency is not only an issue for the UK. McKinsey research says that 30% of the world’s demand for resources by 2030 could be met through resource efficiency improvements. This could deliver global benefits of as much as £2.3 trillion a year. Many countries, including those in the developing world, are already pursuing the benefits offered by a circular economy, suggesting that the issue is as much about how we compete in a circular economy as it is about how we move towards one. Consider that the UK recycling sector alone now generates more than £10bn in sales, employs more than 30,000 people and contributes around £3bn in gross value to the economy, and the benefits of adopting the virtuous circle of a ‘closed loop’ economy become even more attractive. The sector, incidentally, has grown its sales revenue threefold since 1998, outstripping growth in the overall economy during the same period of time. In the UK, an obvious example of where the circular economy approach has been tried and tested can be seen in the plastics sector. In 2000, just 3% of plastic bottles were recycled and the remaining 400,000-plus tonnes were sent to landfill. There was no infrastructure for reprocessing plastics. Collection was difficult and there were market failures in all parts of the loop. Councils, waste management companies, bottlers, retailers and banks - along with WRAP - together sought to address these market failures and developed a shared closed loop vision. This took the humble plastic bottle back to its beginnings and mapped a new journey for its lifecycle - one that did not involve landfill. World-leading technology was developed to produce recycled material meeting food-grade plastic specifications. Guidance was created to help councils establish effective collection schemes, along with advice to help them communicate with residents. With help from a WRAP capital grant, Closed Loop Recycling opened the UK’s first PET plastic bottle factory in Dagenham 2009, providing more than 100 local green jobs. Today, it processes 875 million plastic soft drinks and milk bottles each year and recycles them into food-grade plastic. The recycled plastic is used to make new bottles and food packaging, in a process that needs far less virgin plastic - saving money, and avoiding the need to import raw materials. The amount of food-grade recycled polymer from drinks bottles going back into closed loop applications as bottles is at least 66,000 tonnes, with a sales value of more than £66m. And recycled plastic bottles currently fetch £200-£300 per tonne. Collections systems have been developed and refined. Recent figures from Recoup show we now collect just over half of all plastic bottles from UK households for recycling. In England, 295 local authorities now provide plastic recycling services for more than 20 million households. Infrastructure has grown, too, with four plastics reprocessing plants in the UK producing food- grade recycled plastic from drinks bottles. Nearly all plastic milk bottles have 10% recycled content and the dairy industry has set targets to reach 30% by 2015. And during the summer, Coca-Cola recycled bottles from the London 2012 Olympics Games in just six weeks. Its joint venture with ECO Plastics allowed more than 10.5 million clear plastic bottles from all the London 2012 venues to be recycled. ECO Plastics was the first company to benefit from the WRAP Mixed Plastics Loan Fund (MPLF). There is still part of the journey to complete. WRAP is now looking for innovative solutions for other materials such as food-grade polypropylene and rigid black plastics to help ensure the UK stays at the leading edge. And there is further funding available from the MPLF. The challenge of delivering resource efficiency and sustainable change is that there are opportunities pretty much wherever you look. The electricals and electronics supply chain is a prime example. We do not have all the answers, but we do know there are opportunities to influence all the stages of the supply chain: from encouraging the designing-out of waste at the start of a product’s life, through to encouraging consumer repair and reuse, which maximise the life of the phone, TV or iPad. There is also the question of how best to deal with these types of products when they reach the end of their life. WRAP is running trials to test whether technology can successfully help to extract the often-rare materials used in their manufacture. But it is not enough to know that innovation and technological know-how can crack the process. We also need to know whether the process presents an economically viable option, so the trials are examining whether the business model not only works but is sustainable. Each sector of waste management is different and presents its own challenges. WRAP is keen to focus on those areas where it can have the most impact. It means asking the right questions, working with all stages of the loop and, importantly, encouraging businesses of all shapes and sizes that resource efficiency is something that is not only relevant to them, but can bring bottom-line benefits.